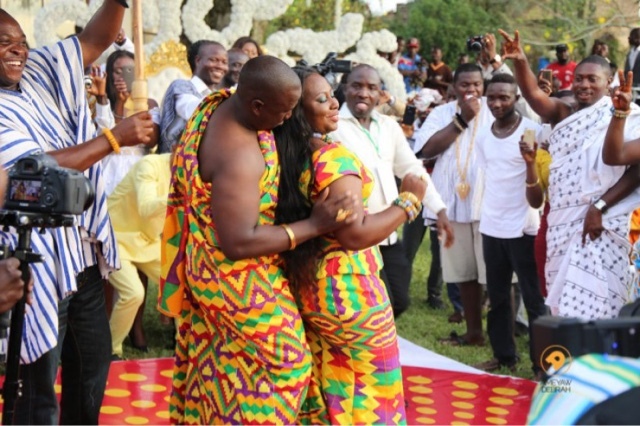 Host of Standpoint Gifty Anti has taken to social media to profess her love for husband Nana Ansah Kwao IV, few hours after their marriage. 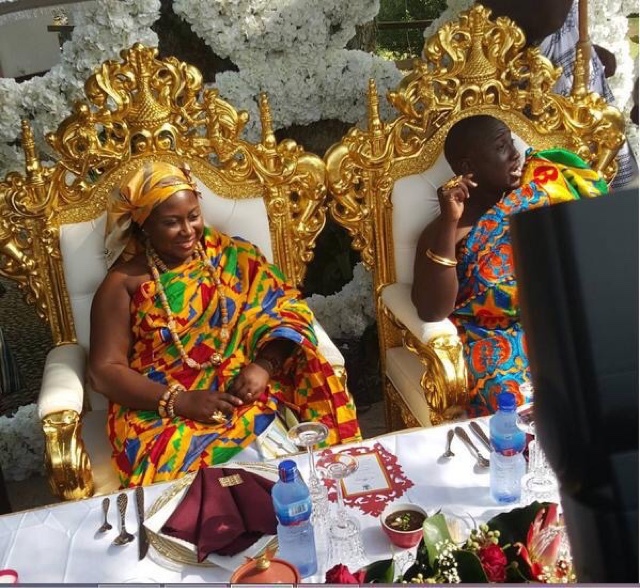 The two television personalities finally tied the knot on Thursday in a colourful event that has been described as Ghana’s Royal wedding in Aburi in the Eastern region. 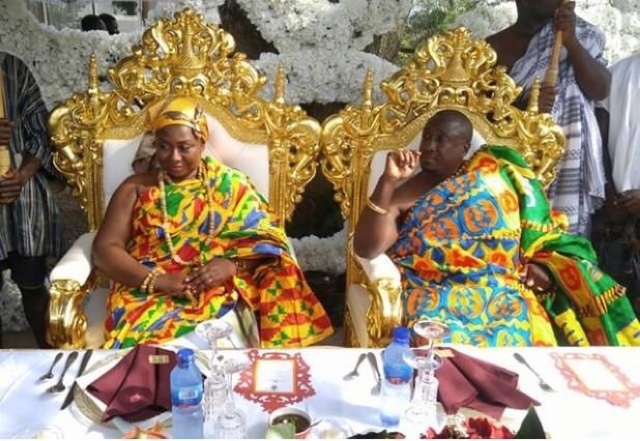 The magnificent wedding ceremony was graced by top CEOs and some politicians including former President John Agyekum Kufuor, Hackman Owusu Agyeman and Dzife Abla Gomashie, Minister of Tourism, Culture and Creative Arts. Nana Ansah Kwao, a chief in the Eastern region goes by the stool name, Oyiakehyire Nana Ansah Kwao IV of Adumasa. Gifty Anti would also be known as Awo Dansoa. Anti who couldn’t hide her joy took to Instagram to express how proud she is to have chosen Nana Ansah Kwao above all other men. “This is my husband... He did honour, celebrate and made me proud today. OyiAkehyire Ansah Kwao IV What can I say? How do I say it? I am glad I chose you above all other men. God is our strength. I love you and I appreciate this Royal honour,” She wrote moments after her wedding.